See the new Biffy Clyro video here! 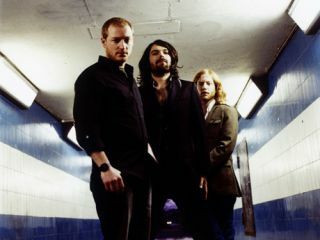 After the huge success of their third album Puzzle, Scottish three-piece Biffy Clyro return to continue their assault on the mainstream with a fifth long-player in October 2009. The as-yet-untitled album again sees the band's gigantic, angular rock sound captured in the studio by producer GGGarth Richardson (Red Hot Chili Peppers, Rage Against The Machine) and mixed by Andy Wallace (Nirvana, Slayer, At The Drive-In). Biffy Clyro embark on a UK tour in November. Check out their official website for dates.